Life gets busy. I’m lucky to have lots of fun things to do and – even better – lots of even funner people to hang with. But, recently I’ve been a bit all over the place and realized I’m missing out on some of my nearest and dearests. So, Jodie and I made a point to have a girlie catch up over some nibbles and drinks at the l’Empire Hotel. 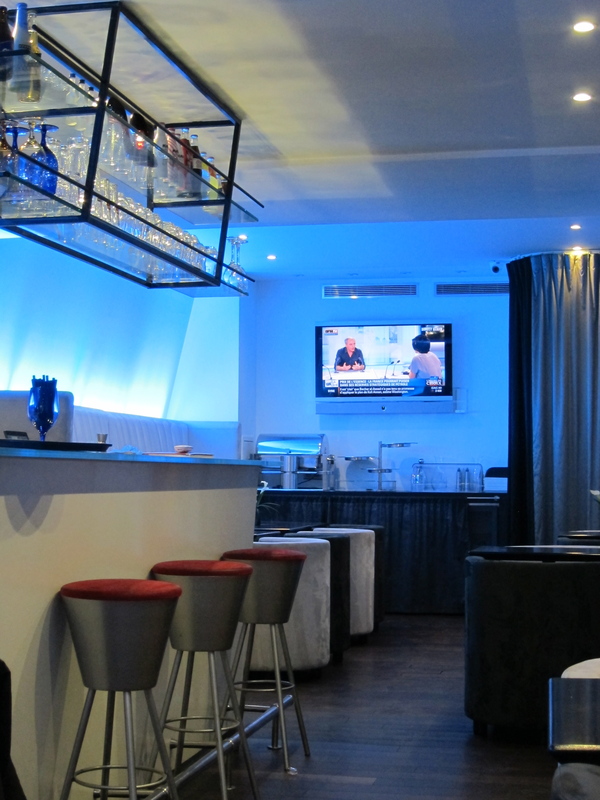 L’Empire is a 4 star hotel steps away from the Louvre that offers up a generous happy hour from 19h to 22h. Jod and I arrived at the start of this happy hour to find the place packed with other partakers. While nice enough, it seems to try a bit too hard to be elegant. There was a whiff of 80’s – which can be retro-cool – but this smelled of budget for a hotel that commands 400 to 1,000 Euros per night. I love the comfy, faux-suede arm chairs, but the light blue ambient lighting, big screen TV and black ceramic vases take it down a notch for me. But, they do have a small terrace, which is a bonus. The menu features thirty-some-odd choices and includes classics like a Sazarac, non-classics like the Killer Vacation, and house creations, which all ring in at half price during happy hour (meaning around 6 Euros a glass.) The barman was working the room solo, so I cut him some slack for the fact that it took over thirty minutes to get some drinks in front of us. When it did arrive, my Bombay Sapphire/Noilly Pratt martini came shaken in a chilled glass with an olive and I suspect a bit of olive juice as it tasted a bit dirty. 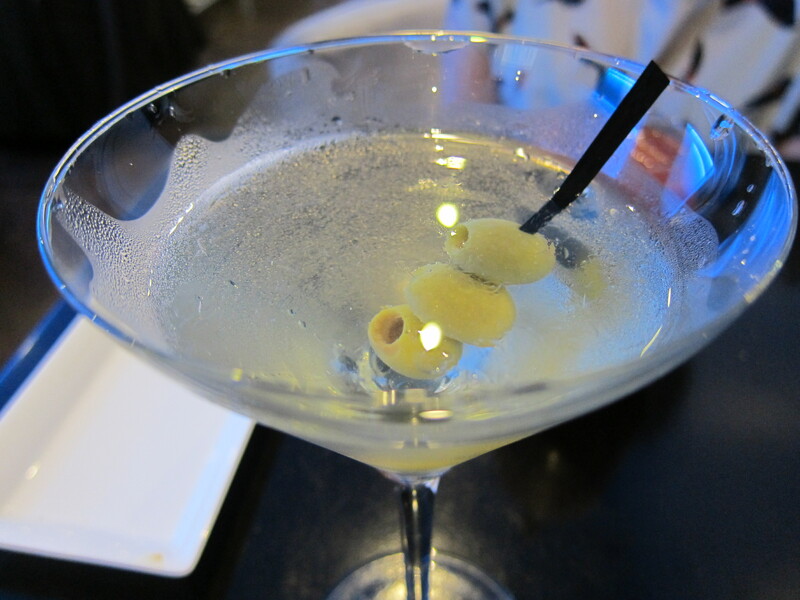 While it wasn’t the best martini I’ve had, it was a welcome sip for the price and given my crazy week. Jodie’s Maria du Maquis (a tequila based bloody mary version) didn’t sing, but went down nicely enough. 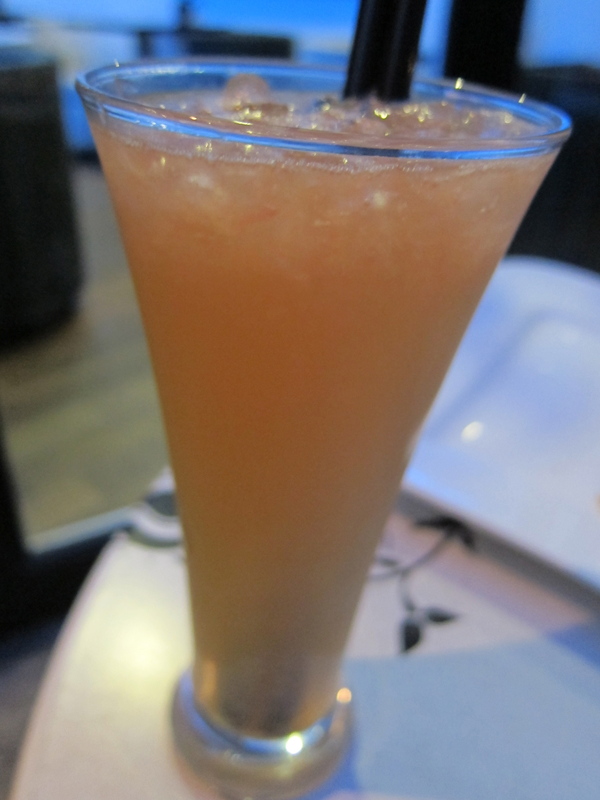 I followed with a Troya in which I liked the grapefruit juice bite. Jodie’s Sazarac was good, but absinthe heavy. Being a girlie gossip night, we went all out with a third order and my breakfast martini had an appreciable balance of sweet and sour. Jodie’s Tipperary followed the standard recipe as far as ingredients, but I’m not sure on proportions. It wasn’t my favorite of the bunch. Chartreuse is a great addition to many a cocktail, but it can sometimes overpower, as it seemed to in this one. In short, I find the menu (like me at the moment) a bit all over the place. It’s a mix of standard cocktails and off the beaten paths with no discernable underlying connection between them all. I also find pricing for their three gins a bit topsy-turvy: Hendrick’s: 11 Euros; Beefeater: 12 Euros; Bombay Sapphire: 13 Euros. Tasty tapenade toasts came with the drinks. But, given our three drink night, we opted for an additional plate of fries. 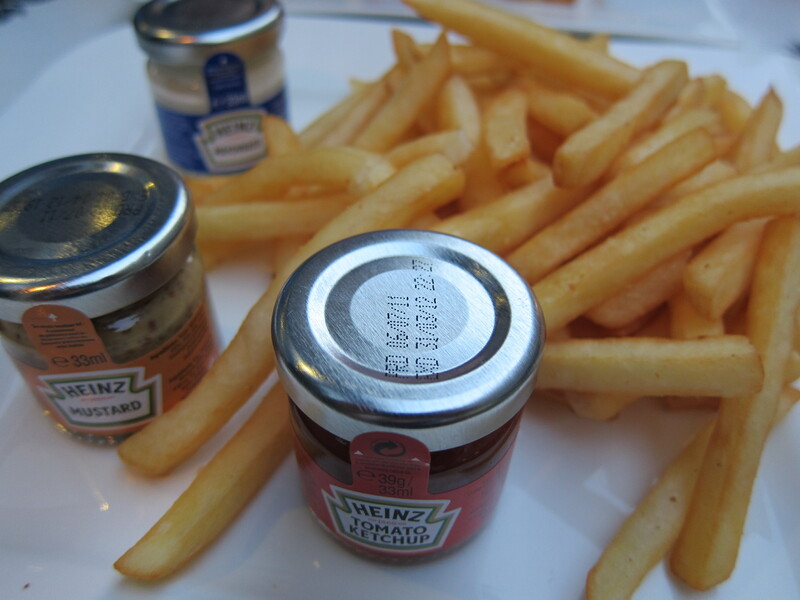 Although we ordered one, two plates of crispy delicious chips came out with tiny condiment jars of mustard, mayo and ketchup that tickled me – I do love miniatures. While we found some of the drinks hit and miss, we adored the barman, Simon. I must give him props for manning the entire operation alone: shaking, stirring, spinning, socializing and overseeing. He even brought us out a little sample of another drink the London Bramble. Big up to Simon. In general, would I go there as a cocktail destination? No. But, I had a long overdue chatty, girlie night at a great price, and it’s a sweet spot to have in your back pocket for something better than average around the Louvre. Drink demands aside, the two of us had one of our best nights in a long time. While it won’t be one of my recs for the best cocktails, it will be one of my recs for an above-average cocktail happy hour that includes service with a cute smile to boot. Hey girlie girl just catching up on your life/blog! I too am all over the place so I get cha! I haven’t had a Sazarac since New Orleans 2004! Too bad it didn’t impress!